The American Academy of Dermatology Association states that acne is the single most common skin condition in the nation, impacting the lives of some 50 million Americans every year. 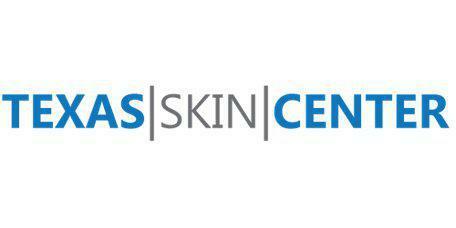 For those living in Houston, TX, Kingwood, TX, & Sugar Land, Texas, Dr. Joseph Sedrak of EpiDermatology can help get your acne under control so you can feel confident about your skin. Schedule an appointment to get started, either using the simple online scheduling tool or by reaching out to the office by phone. Are all breakouts considered acne? Everyone has an occasional breakout, especially during adolescence. Acne, however, is a chronic condition in which your hair follicles and pores become clogged and inflamed. Acne is most commonly found on your face, shoulders, chest, or back. None of these factors is within your control, so there’s no reason to feel ashamed of acne or believe that it’s a sign of poor hygiene or a bad diet. There are a multitude of over-the-counter products marketed for acne treatment. If you only have a mild case of acne, these products might be sufficient to clear up your complexion. However, if your acne doesn’t clear up after a few weeks of self-care, or if breakouts worsen or become painful, it may be time to see a professional. What are some treatments for acne? Dr. Sedrak performs a comprehensive skin examination to construct your customized treatment regimen. He’ll create a plan tailored to your age, lifestyle, overall health, and the type and severity of your acne. Topical medications can help prevent hair follicles from becoming clogged. There are various types and strengths to choose from, each with a set of pros and cons. In some cases, a course of antibiotics combined with benzoyl peroxide and used in conjunction with topical retinoids can clear up acne by eliminating skin bacteria. Salicylic acid or azelaic acid creams are also potential treatments and can help keep your follicles free of oil, bacteria, and cellular debris. Oral medications can treat moderate to severe acne, but carry a risk of serious side effects. Some women find relief through certain oral contraceptives that balance hormonal production. Dr. Sedrak works with you to find the treatment path that’s right for your specific needs. A combination of these treatments is often the best approach. Book a visit with Dr. Sedrak online or by phone to begin your own treatment path.